A quartet of small satellites, better known as CubeSats, flew high above California’s Mojave Desert on June 15, 2013 on a demonstration mission to study the launch environment all the way from liftoff to landing. The spacecraft are being developed to help simplify and lower the cost of small-satellite missions that could fly on smaller, dedicated rockets. Although the rocket’s parachute deployed prematurely and the vehicle tumbled to a hard landing, the flight is considered a success and a valuable learning opportunity. Teams now are retrieving their data and gearing up for another flight in the coming months. 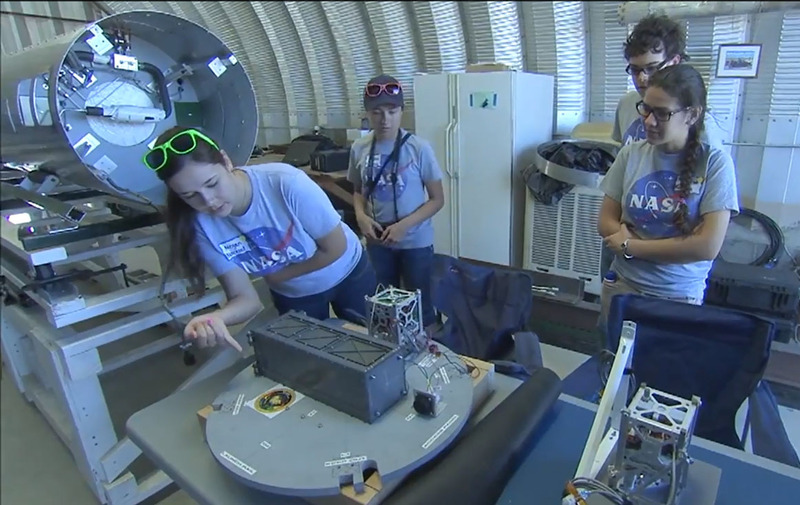 Among the CubeSats was StangSat built by students from Merritt Island High School (MIHS). This pre-launch video briefly describes the CubeSats to be launched as well as the new light-weight CubeSat Deployer. There is also an interview with Roland Coelho WH7BE. Florida Today reports that for three years Merritt Island High School students have been working on building a CubeSat. Affectionately referred to as the “StangSat” — after Merritt Island High’s nickname, the Mustangs — a handful of Merritt Island High students and their NASA mentors are adding finishing touches to a prototype that will soon be tested on a Prospector 18 rocket. The high school is partnering with students at California Polytechnic State University in San Luis Obispo. 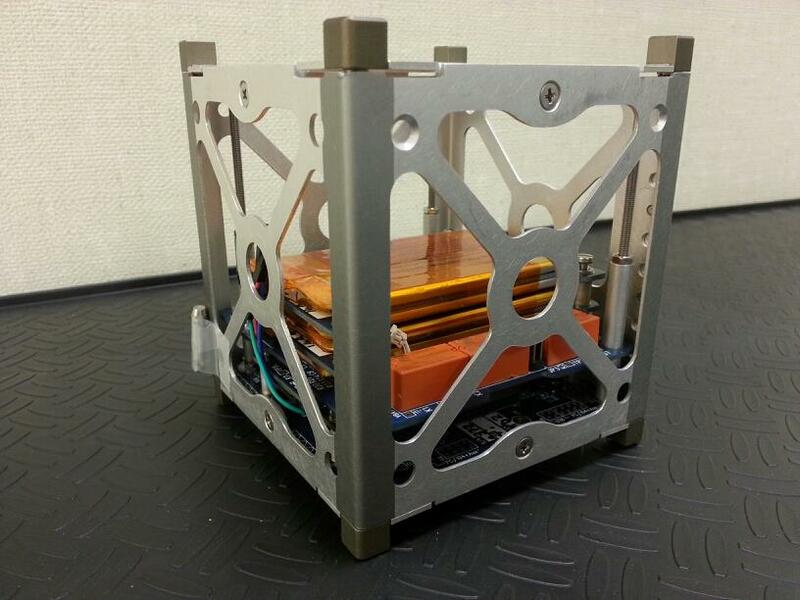 The Cal-Poly CubeSat, dubbed CP9, is actually two cubes that contain accelerometers, plus a radio to transmit data back to Earth for the high school students to analyze. The Merritt Island High School cubesat, named StangSat, will stream data to the CP9 in real time during the launch using Wi-Fi.